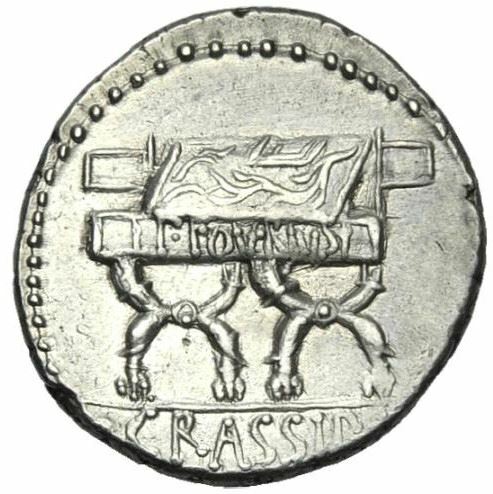 P. Furius Crassipes was Curule Aedil in 84 BC, and struck a coin in this respect. He is not otherwise known. Gens Furia, originally written Fusia, was one of the most ancient and noble patrician houses at Rome. Its members held the highest offices of the state throughout the period of the Roman Republic. The first of the Furii to attain the consulship was Sextus Furius Medullinus in 488 BC. The cognoment Crassipes means "thick-footed", which is presumably why the obverse of this issue features a foot.